I have had bouts with eczema off and on my whole life. I used to get it on my eyelids every winter which was an awful place to get it. Thankfully that has improved, but I have had some stubborn patches on my shins for several years now. 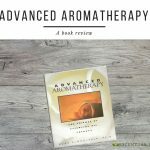 Eczema affects lots of us, so I hit the books to see what I could develop to ease eczema. Eczema is a condition where patches of skin become itchy, dry, and red. This article is a nice comprehensive summary of eczema. Persons with eczema may have a reduced lipid barrier in their skin, which means more water loss. 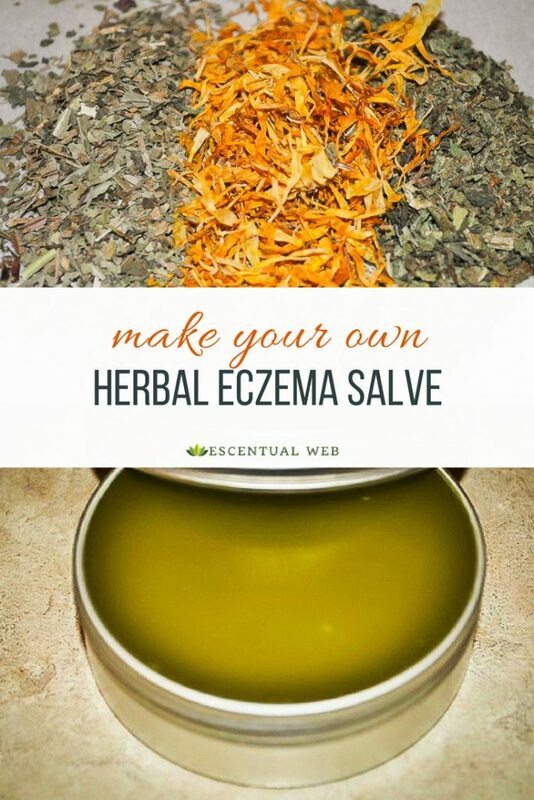 So, when thinking about formulating a salve for eczema, I wanted an emollient to address the dryness, some healing and/or anti-itch components, and a film forming ingredient to prevent water loss. Dried plantain, calendula, and comfrey leaf. 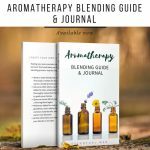 My formula was developed based in part by what I had on hand, but you could substitute from the above list quite easily. 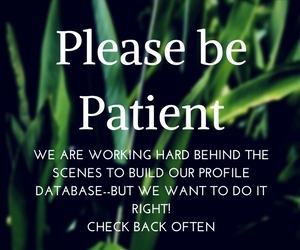 I wanted to make a single 2 oz. container. 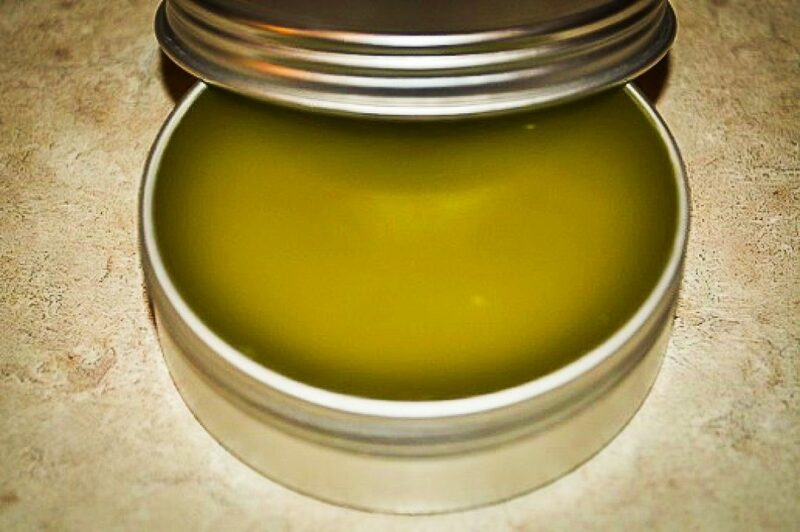 The butters and oils were the emollient component for my salve, the herbal infusion and essential oils were the healing and therapeutic component, and the little bit of beeswax helped to give a bit of additional thickness to the mixture, and was the film forming component. 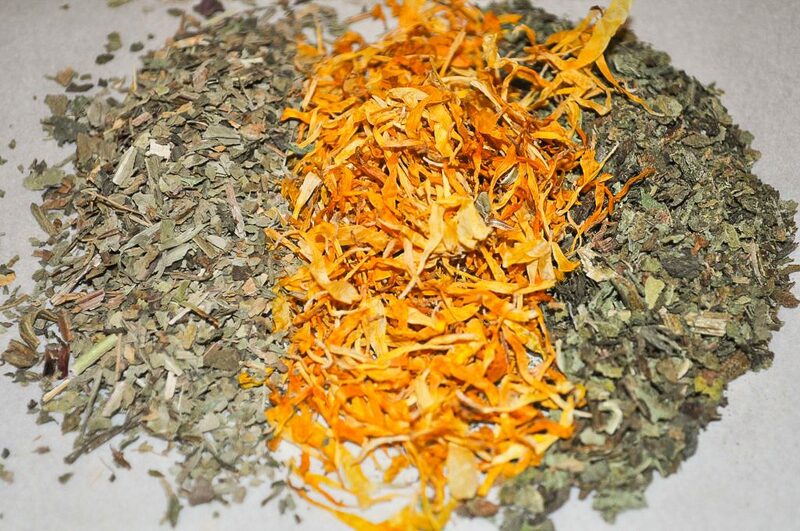 Make an herbal infusion. Fill a small mason jar with a mixture of dried comfrey, calendula, and plantain. Cover with rice bran oil and place in a water bath on low heat for 30 minutes. Turn off the heat and let the mixture cool. 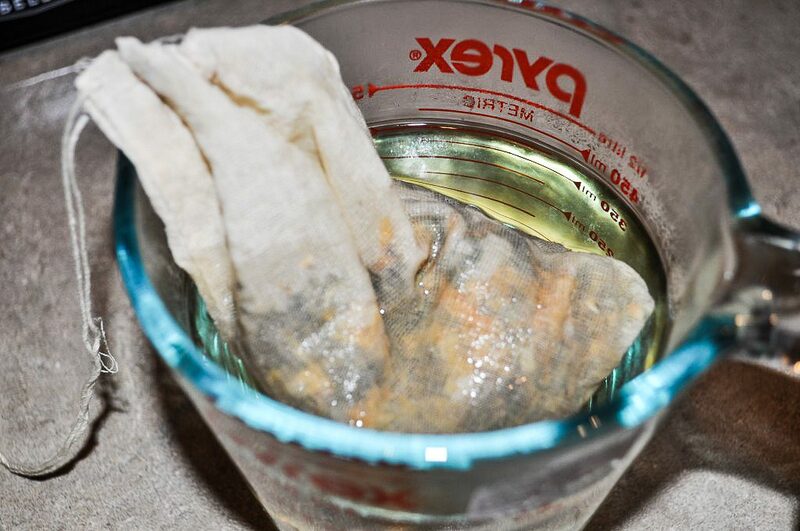 You can use a cloth bag for infusing as well, which makes the next step, straining, easier. Strain the rice bran oil and weigh out .5 ounces into a clean container. Weigh out and add to the container the avocado oil and hemp oil. Set aside. Melt the mango butter and beeswax in a water bath, double boiler, or with short bursts in the microwave (monitor carefully when using the microwave and the butter can quickly overheat and spatter all over). Add the oils to your butter and beeswax mixture. If the mixture begins to solidify right away, reheat it slightly. Let it cool slightly, but while it is still liquid stir in your essential oils. Pour into your tin or container and allow to set. 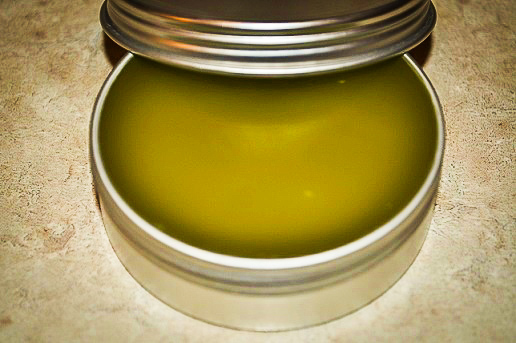 The salve is a beautiful green hue due to both the infused oil and the hemp oil. The texture is lovely, like spreadable butter that has been out of the fridge for a minute.